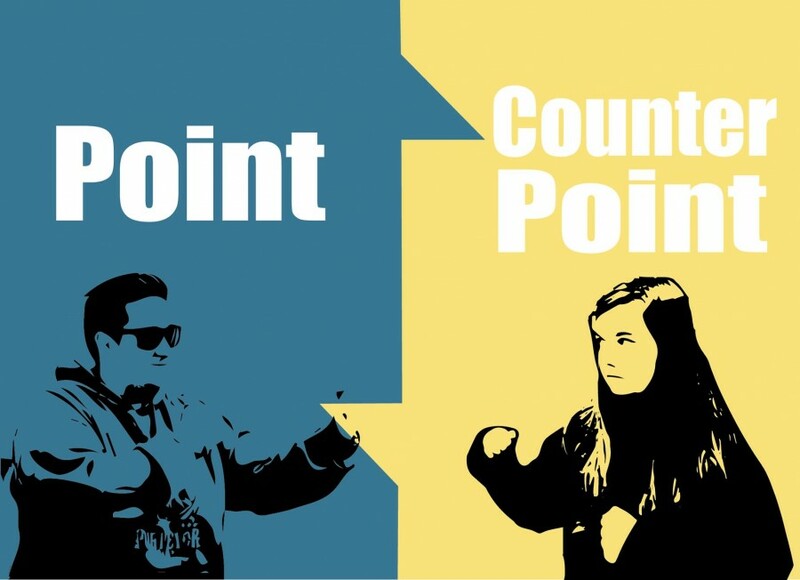 Point Counter-Point: Should the college plan student events? It’s a constant issue around campus: ‘What’s there to do?’ Whether events, or the lack of events, are planned by students or the college also seems to be an issue. Are students not stepping up? Is the college out of touch with its students? Is there even anything to do? Read on to see our columnists’ views on this sublime time issue. When we have employees whose job descriptions include planning student events, then yeah, the college should plan student events. But I get why some would argue against this question. Most other colleges leave it up to students to plan their own events, making it their responsibility. And that makes perfect sense. Lakeland is even trying to get students to move in that direction, as evidenced by the Success department’s cutting back on days that they promote/put on events. Despite the issues with this decision, they are leaving these days open for us, the students, to step forward and do what we want. We’ve always had this option, most of us just didn’t know it, and therein lays part the problem. There is a lack of adequate communication between students and anyone in authority positions who should be informing students of our options and how we should go about not only planning our own events, but regarding almost anything of importance. You can have the expectation of students to plan their own events all day long, but if you don’t communicate to them that they can do this, and how, how can you ever expect them to do so? Also, we’re in the middle of nowhere. We can’t really go anywhere without it being a coordinated effort and lacking access to anything nearby makes most ideas difficult. The additional issue of a lack of events is the fault of both the college and the students. The college is at fault for not informing students of their options and for failing to meet the needs of the students, while students are at fault for not knowing, not caring and for not being more involved when given the chance. However, it’s hard to blame students, especially if they are bogged down with studying, work or sports to the point where they can’t justify devoting time to planning events. Isn’t this what the college should want, its students focusing on being good students? Wouldn’t it then make sense to have the college plan events for its students? Wouldn’t it justify why we have employees whose partial role is to facilitate this purpose? Perhaps the simplest answer is as long as the college wants to keep its students from leaving, it needs to plan events for them. Back in elementary school, my parents kept a busy schedule of events for my siblings and me. Our weekends were booked with trips to museums, visits to relatives and various other activities. There was never a dull moment at my house because my parents were there to plan my life for me. Now that we are older, we are responsible for our schedules. The staff at the college are not our parents. If you are bored and looking for something to do, it is your responsibility to find something to do. Mommy and daddy can’t hold your hand any longer. The problem with the college planning student events is the students themselves. We are so gosh darn picky with what we want to do that we don’t go to what is planned for us. The staff try to set up events like the Muskie Success Extravaganza and the Cinefest Series, but in the end no one goes to them. When I hear complaints like ‘I wouldn’t like that event’ or ‘I want to party instead,’ I want to rip my hair out. No wonder no one wants to plan events for students, no one goes! There is nothing more frustrating than spending hours preparing for an event and then having no one show up. And to the argument, ‘I don’t want to go to that kind of event,’ kindly place your cranium up your backside. People are trying here; they don’t know what you want because you never speak your mind. If you want a slip ‘n slide event on campus, either plan it yourself or tell someone your idea. With groups like the Foundation Board and LC-CAB, there is no reason not to have something to do. They are welcome to ideas, they just need someone to step forward and take charge. Maybe instead of going home or drinking this weekend, you grab a few friends and plan something for the student body. We need to step up as students to plan our own agendas. We shouldn’t have to force our greedy selves on people who have bigger things to worry about: their actual jobs.